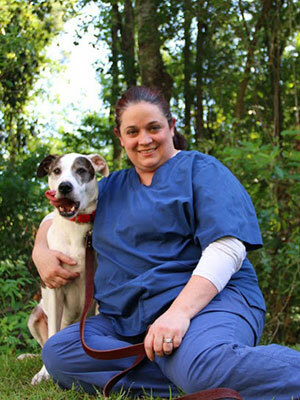 Rachel graduated from the Veterinary Technician Program at Columbus State Community College in 2007. She did her internships at The Ohio State University (GO BUCKS!) and became specialized in Internal Medicine in 2013. For seven years she worked at Coral Springs Animal Hospital, spending the last three years there as the Internal Medicine Supervisor. She recently relocated to Tallahassee, FL where she recently joined the team at Capital Veterinary Specialists in their Internal Medicine Department. <br>Rachel is passionate about education and loves to teach. She speaks nation wide on endocrinology, gastrointestinal disease and infectious disease. She believes that the way we raise up awareness and quality of this profession is to raise each other up and raise the standards of care and knowledge. In her free time Rachel enjoys reading and spending time with her husband and their two dogs, Joey and Emmy. This lecture will detail the secondary diseases that can stem from untreated or undertreated IBD. We will discuss clinical signs, diagnosis and treatment. We will discuss in detail home management, negative prognostic indicators as well as the vital role of nutrition.